Alright, my friends! Strap yourself in! We are going on an idiom adventure! How many of these English idioms do you know? 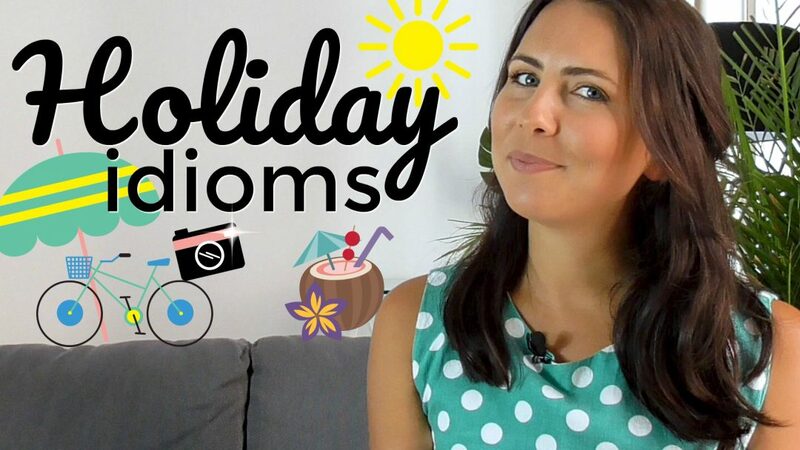 During this video, I’ll test you on your knowledge to see how many of these common Englis idioms you know. I’ll show you how to SAY and how to USE these common English expressions to help you sound like a native English speaker! Tell me your score in the comments below! 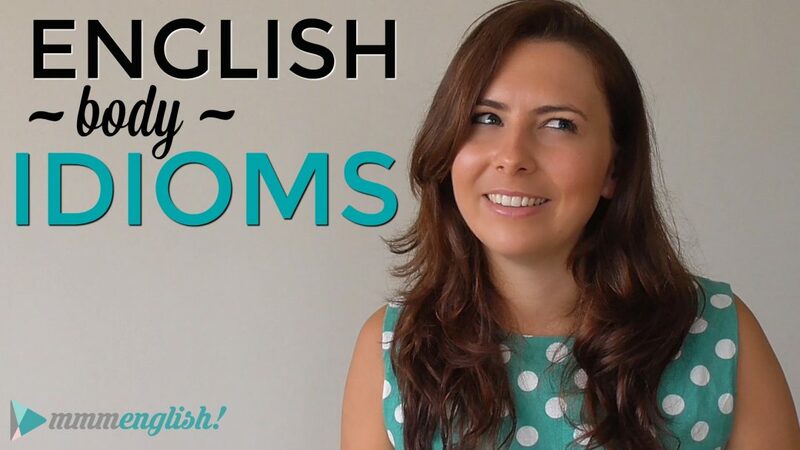 Okay it’s time to brush up on a few awesome English idioms. Don’t jump ship just yet. This is going to be a piece of cake. If you don’t know me, I’m Emma from mmmEnglish and today I’ve got a challenge for you, an advanced idioms quiz. Using idioms is definitely a more advanced level of communication in English but one that you should definitely be aspiring to because native English speakers use idioms all the time and to sound more natural and creative and interesting when you speak English, you should definitely be learning and practising some of them regularly. Now as much as you dislike learning idioms, they really are a wonderful part of language because you can perfectly express how you’re feeling in a really entertaining way. I could tell you that the car was going fast or I could tell you that that car was going lightning fast! Idioms give me much more detail and expression than just a normal adjective. They also help to push your English to a higher level. Native speakers use idioms all the time so becoming familiar with them, especially the common ones, is really essential to help with your understanding. And if you can start using these idioms as well, in your writing and in your speech, well you’re going to sound much more advanced as well. So today I’m going to challenge you with an idioms quiz to see just how many of these idioms you really know. 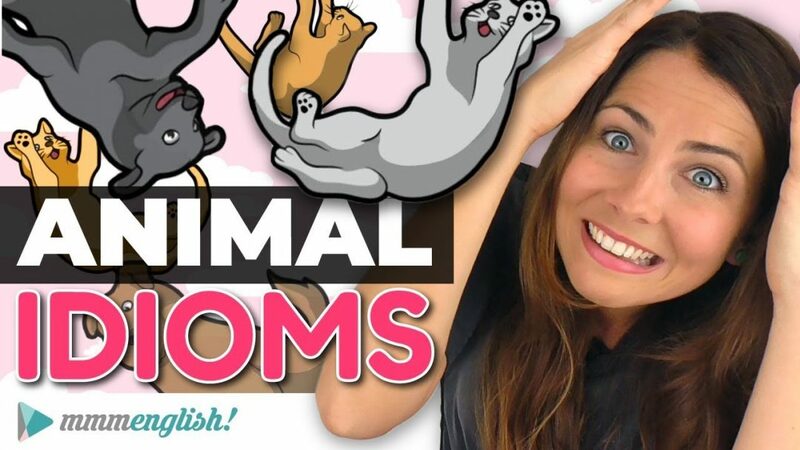 So this quiz will help you to see how good you are but even if idioms aren’t really your forte yet, then we’ll be reviewing lots of them as we go during this video so just get ready to take some notes. Now just in case you didn’t realise it, this is also a review of all of the idioms lessons that I’ve made to date. So if you get any of them wrong or you want to check about the meaning of any of them, then you can watch all of them in my idioms lessons here, right here. There’s a whole playlist of them. So if you nail this quiz, I’m just going to have to assume that you have been watching every single lesson of mine very diligently. Okay so this is how it’s going to work. You’ll see an idiom pop up on screen right here and for each one I’m going to give you three possible meanings and you just need to choose which is the correct definition. So we’ll start off with a few easier ones that are very common and then we’ll get going with some more trickier ones. I know that you like a challenge so we’re definitely going to give those tricky ones a go, aren’t we? Make sure you keep score to see how many you got right at the end so we can all share our answers together. 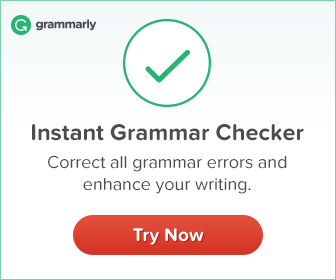 If you get one wrong then just pause the quiz for a moment, write it down, try and use it in a sentence straight away while it’s fresh in your mind and add it to the comments because that’s going to give me a chance to check it for you and give you some feedback on how you’re using that idiom. So it’s a really good way to practise. You’re in control of this video! You can pause it, write a comment and then keep going. Okay here’s the first one. a. describe something that’s very sweet? b. describe a situation that’s really easy? c. a type of dessert? I think you probably did but this is a really good example to remind us not to get tricked by the literal meaning of these idioms, right? Of the words in these idioms. ‘A piece of cake’ is literally a type of dessert but the idiom ‘a piece of cake’ is used to describe a situation that’s really easy. That exam was a piece of cake. This idioms quiz is going to be a piece of cake! All right here’s the next one. a. describe someone who likes bugs and insects? b. describe someone who is very gentle? c. describe someone who is very aggressive? If you watched my lesson last week, you probably know the answer to this one. Now remember, we’re not talking about someone who literally loves bugs so much that they wouldn’t hurt a fly. This idiom is great to use when you describe someone who’s very gentle and kind (B) It’s the total opposite of aggressive. Even though my dog is big, he wouldn’t hurt a fly! He’s so sweet. She looks a bit rough, but honestly, she wouldn’t hurt a fly. She’s one of the kindest people that I know. So far so good, right? Let’s keep going. b. to have an injury? All right here’s the next one – one that I use all the time. a. to leave (a place)? What do you think? It means to leave a place (A) or to start going somewhere. Hit the road Jack and don’t you come back no more, no more, no more..
Notice that you can use this idiom whether you’re leaving somewhere by foot, by car or by bike. And if you hit the deck, well that’s when you fall down, right? So keep that in mind I was trying to trick you. If you hit the deck it means you fall over. And it sounds kind of similar, doesn’t it? Have you heard of it before? Does it mean..
What do you think? Remember that we’re not talking about something literal, right? So don’t get confused by thinking that there was a boat and water involved to use this idiom. To ‘jump ship’ means that you’re quitting something (C), that you quit or you leave or you abandon your teammates or a group of people, right? You can use ‘jumping ship’ in any of those situations. Where’s Sarah? Don’t tell me she’s jumped ship and left us? We were supposed to clean up the kitchen together, but Simon jumped ship when his girlfriend arrived. Annoying! How are you doing so far? Let’s take this up a level. These idioms are going to get a little trickier now. a. when something is really smelly? b. to describe an annoying situation? c. the desire to travel? Which one? It’s C! It’s the desire to travel. So someone with itchy feet is ready for a change. They want to change their daily routine and just get out on the road and see the world. They want to travel. My sister’s got itchy feet, she never stays in one place for more than a few months. I’ve had itchy feet for a while, so I finally bought a plane ticket to Southeast Asia. Do you have itchy feet? I wonder. Where would you like to travel to? What places are on your bucket list? That’s another idiom right there! a. someone who isn’t paying attention? b. someone who loves aeroplanes? c. to be afraid of heights? Now if your head is in the clouds, then you’re dreamy and distracted and you’re thinking about other things. Your mind is elsewhere, somewhere else. You’re not paying attention. He’s a good worker, but he’s often got his head in the clouds and he forgets what he’s doing. Ashley’s a terrible driver! It’s like she drives around with her head in the clouds! I’ve got a few people in mind that I know who sometimes have their head in the clouds. But do you? Do you know anyone who’s got their head in the clouds? a. to carry something heavy? b. to say something that you wanted to say for a long time? c. to keep a secret? So when you get something off your chest, you feel relieved. You feel much better. Look, I need to get something off my chest. I need to tell you that something’s been bothering me, right? This is quite a good way to start an awkward conversation, you know, if you have to tell your housemate that you’re really sick of cleaning up in the bathroom after them. Now the next one is under the weather. Quite a common one. But does it mean..
c. someone who likes the rain? Now this has nothing to do with the actual weather. Answer A is the correct answer. So when you’re feeling low in energy, maybe your head hurts or you have a sore throat, you’re feeling under the weather. I didn’t go to work today because I was feeling under the weather. You look a little under the weather today, are you feeling ok? So it’s never fun to feel under the weather but it is important to note that this idiom is used when you’re not quite feeling a hundred percent. Maybe you have the flu or a headache or something but it’s not used for serious illnesses, just when you’re feeling not quite as good as you normally do. a. to be in love with someone else? b. to have heart surgery? c. to change the way you feel about something? So the answer is C. Did you get that one? Or are you having a change of heart now that you’re taking this idioms quiz? Maybe you want to stop. If you have a change of heart, you change your opinion or your idea about something. So let’s look at a couple of examples. She always refused to have a pet, but when she saw the puppy she had a change of heart. They said that they weren’t going to come, but I really hope they’ll have a change of heart. All right, ready to take this quiz to a whole new level? a. to buy someone a present? b. to be under someone’s control? Did you choose B? If I was wrapped around someone’s finger then I would do anything for them and if you have someone wrapped around your finger, then you’ve got complete control over them because they’ll do anything to make you happy. So if you think about kids, often kids have their parents wrapped around their fingers and pay attention to who is wrapped around someone’s finger, right? In this idiom. She’s got him wrapped around her finger, he does everything for her. I know that my mum’s got me wrapped around her finger… But I just enjoy spending time with her. Here’s another one that I use all the time. b. to book a trip? c. to do something without a plan? I’m actually really awful at winging it, it’s not one of my skills. I’m a planner. So if you wing something, you do it without a plan. You improvise, you make it up and you just invent it as you go. I didn’t have time to practise my speech, so I’m just going to have to wing it. My brother prefers to travel without making too many plans, he likes to wing it. a. to try to do something that is too difficult? b. to eat too much? c. to choke on something? So when you choke on something while you’re eating. Now I’ll give you a little hint here. The idiom ‘to be in/over your head’ has a very similar meaning. I bit off more than I could chew when I said that I’d cook for 20 people. The hike was way too difficult for my parents, they definitely bit off more than they could chew. Now can you think of a time when you bit off more than you could chew? It’s not really a great feeling because it’s when you want to do something well but you just have too much to do. You’ve got too much on your plate. That’s another idiom right there. You’ve got too much in your plate you’re too busy, right? It’s too hard so you bit off more than you could chew. c. to offer something of value? Well? This one’s tricky. I’m actually trying to trick you here. The answer is C. This idiom is often used in a business context and it’s used to describe the benefits or positive things that someone brings to a situation. So if someone has a good idea or can contribute something new or they have some kind of helpful skill, then all of those things can be brought to the table to contribute. I’m glad she’s part of the team, she brings a lot of experience to the table. Although I can’t speak Arabic, I bring five years of online marketing experience to the table. And it’s always a good idea to bring something to the table if you’re trying to be helpful. If you’re trying to be a good teammate or if you want to make a good impression, you bring something to the table. a. to be in a tricky situation? b. to eat sour foods? It’s got nothing to do with pickles or even food, actually. The answer is A and it’s when you’re in a tricky or a difficult situation. Hi mum, I’m in a bit of a pickle! The car’s just broken down and I’m late for work. You really put me in a pickle when you cancelled at the last minute. And lastly, what if I said that something might get out of hand? Would I be suggesting that I was..
a. unable to control a situation? b. doing something without planning for it? Imagine that a hundred people arrived at your house for a party. Things would probably get out of hand, you’d lose control. Maybe. If a person’s behaviour or a situation gets out of hand, then you’re no longer able to control it. Okay? You definitely don’t want things to get out of hand. Well hey! You made it all the way to the end of the idioms quiz – awesome work! How did you go? How many of them did you get right? Share your score in the comments, tell me which ones you got wrong. If you add that to the comments, then I’ll share the link to the right idioms lesson that you need to review. And if you didn’t get some of them right, then don’t be disappointed because you’ve had the chance to learn some new ones, right? In fact, if you did learn some new ones, then make sure you pause this lesson right now and write a sentence using them in the comments so that I can check if you’re using them correctly and you help that information to stay in your head. If you did pretty well with this quiz then share it with your friends and see how they score. A little friendly competition is always a good thing, I think, so see if you can challenge them to beat your score. So now you can take a breath, go and grab a drink of water and then come back and we’ll check out these lessons together next. I’ll see you in that one right now! Happy Birth Day to you, Emma! Best wishes of great success and a lot of joy and happiness! And always be charmingly beautiful! And next 1 … no, – 2 million subscribers to your brilliant channel in next year! 2. 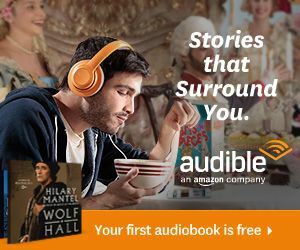 Stories about your (so exotic for many of us) country. Anything,- culture, nature, politic… I’m sure,- all what You’ll tell, will be enthusiastically viewed/learned by your grateful subscribers! I would like to show you a few Serbian idioms identical or similar to these you have shown to us. Note: in Serbian language there is a rule: one letter – one voice. Idioms like: (to) have (your) head in the clouds; itchy feet;(to) get out of hand, are almost the same: s glavom u oblacima (with head in the clouds; svrbe ga tabani (he has itchy soles) and ispustiti dizgine (give the rein off).